After generating great expectations, the Biomuseo of Panama will open its doors in 2014 to visitors, onlookers, tourists, students, and scientists. This remarkable museum is a living vessel that tells an equally remarkable story: the emergence of the isthmus of Panama and how it changed the world. Designed by Frank Gehry, the Biomuseo is a powerful combination of science, art, and design. Gehry’s oeuvre, more than any other current architect, closely resembles that of a contemporary artist and sculptor. References to local culture and biodiversity (its colors, for example) and even to the canal’s surrounding architecture (its roofs and architectural forms) have made the Biomuseo a unique masterpiece within this Canadian architect’s famous body of work. Possessing a remarkable vitality, color, and brightness, the building seems to throw its gaze towards the landscape of the Pacific Ocean and finally merge with it. Facing the Bay of Panama at the entrance of the Panama Canal in the Pacific, the Biomuseo seems to float along with the other ships, like a vessel full of color. The Biomuseo’s fundamental mission is to make us more aware of our responsibility towards the world, through a continuous reflection on biodiversity. The goal is to place a powerful accent on the importance of biodiversity, especially Panama’s. To achieve this, we have given a new twist to the traditional exhibition concept through montages that provide strong sensory impact, motivate learning and discovery, and combine technology, art, and design. The Biomuseo aims to become a landmark and a symbol of global concern for the environment and conservation, while spreading to the world the extraordinary natural and cultural heritage of Panama. The project is designed to produce a sustained international effect, thus helping to create a new understanding of the greatest wealth of the XXI century: the wealth of our natural economy. The Biomuseum’s central exhibition is titled Panama: Bridge of Life. Initially, the museum will open with five of the eight projected galleries. There is an incredible abundance and variety of life on Earth. The visitor is greeted with a huge multicolored stained glass, fourteen meters long and eight meters high, representing the explosion of life in Panama. We live surrounded by a vast amount of living beings and communities. A three-story projection space with ten screens will immerse the visitor in an audiovisual rendering of the natural marvels that compose all of Panama’s ecosystems. Panama is a living bridge that emerged from the sea three million years ago. The tectonic forces inside the Earth that formed the isthmus are represented by three rock formations, fourteen feet high, in a space full of tactile and physical encounters with the geological world. The closure of the isthmus of Panama generated a great exchange of species between North and South America, two land masses that had been separated for 70 million years. The visitor is received by two animal stampedes representing the megafauna that began this unique journey almost three million years ago. Human beings are an integral part of nature. In a partially open-air space, sixteen columns provide information on the relations between human activity and nature in Panama 15,000 years ago — the estimated date when the first settlers arrived to the isthmus — to the present. 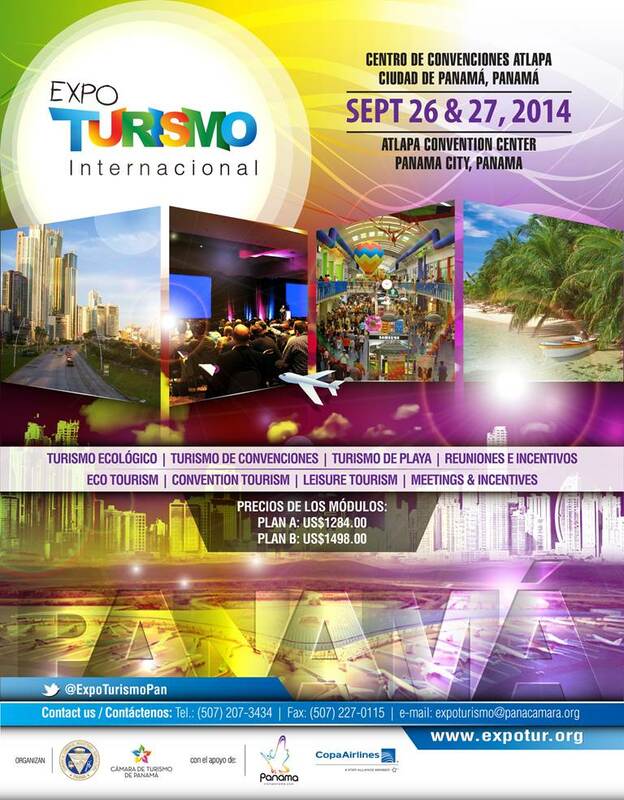 The Panama Chamber of Commerce, Industries, and Agriculture (CCIAP) and the Panama Chamber of Tourism (CAMTUR), with the support of the Panama Tourism Authority (ATP) are organizing the fifth (V) edition of the International Tourism Expo, to be held on September 26 and 27, 2014 in the ATLAPA Convention Center in Panama City. The International Tourism Expo has become the annual meeting place for tourist service providers and wholesalers from more than 20 countries who attend this event seeking new destinations, suppliers, and a variety of products and services to offer. We invite you to be a part of this very important project that benefits all companies in the tourist industry, since the fair serves as a business replication tool through the high-quality attendees it attracts. By pulling together such a range of different tourism service providers in the fair, we have consolidated numerous benefits that will attract over 130 big-name wholesale companies from abroad who come in search of new products and services from the participating exhibitors at the International Tourism Expo. Our goal this year is to have the largest number of exhibiting countries so as to offer a wider variety to the wholesale buyers attending the event. 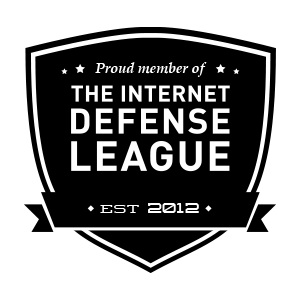 The idea is to create a networking dynamic that will benefit as many countries as possible. Since these wholesalers are coming from more than 20 countries in Europe, North America, Central America, the Caribbean, and South America, companies such as airlines, tourism ministries, hotels and other lodging establishments would find it beneficial to participate and make contacts with all these people from different source markets gathered in one place whom are potential consumers of the products and services on exhibit. One of the main benefits of this fair is that we have made a website ​​available to all participants for them to view the profiles of registered purchasers. An application will also allow them to request appointments in advance with those they are interested in meeting during the expo, thus compiling a virtual business agenda. In this way we can ensure that all exhibitors will have guaranteed business meetings. The event will be closed to general public on the first day and open exclusively for wholesalers and exhibitors, in order for them to conduct the scheduled meetings without any interruptions or distractions.